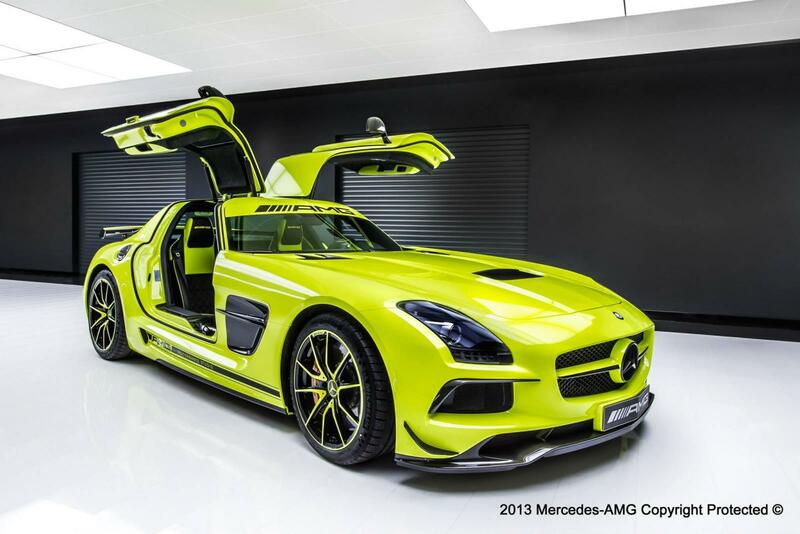 Mercedes-AMG has released images of an SLS AMG Black Series massaged by the company’s AMG Performance Studio. 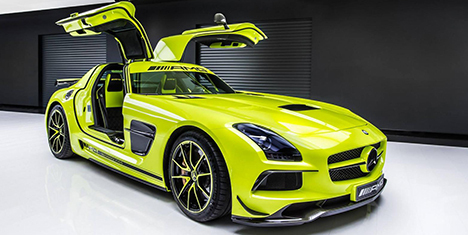 Responsible for creating bespoke vehicles for those customers who crave a little exclusivity, the AMG Performance Studio has painted the SLS in a one-off retina-melting yellow hue, with a colour-coded grille featuring black detailing and two-tone alloy wheels. A black filler cap, rear badging, tailpipes and side graphics complete the look. Propelled by that delicious 6.2-litre V8 engine producing 464 kW (622 hp) and 635 Nm of torque, the Black Series cracks 100 km/h in 3.6 seconds, while top speed is rated at 316 km/h. Mercedes will reveal further details of this car next month. 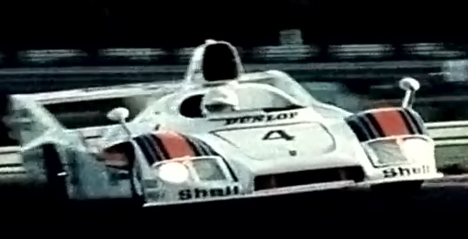 As we eagerly await Porsche’s return to the 24 Hours of Le Mans with its 919 Hybrid LMP1 car, the company has released this video of Jacky Ickx discussing the iconic Porsche 936. A true giant of the sport, Ickx was victorious in 1976, 1977 and 1981 driving a Porsche 936 before returning to win again the following year in a 956. Here he reflects on a car with which he shares his meritorious status, and looks forward to Porsche’s return to endurance racing next year. 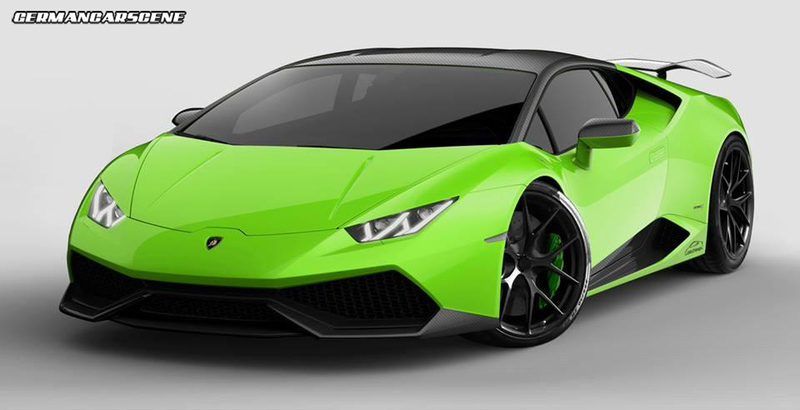 It may have only been revealed earlier this month, but that hasn’t stopped the designers at Oakley Design from coming up with a styling program to suit the Lamborghini Huracan. Constructed from carbon fibre, the aero package includes an extended front splitter, A-pillar trims, widened rear intake shrouds, inserts on the side sills, a raised SuperVeloce-style rear wing and more aggressive diffuser. A set of HRE P101 alloy wheels and carbon mirror casings complete the modifications. Charlotte-based tuning specialist Underground Racing has released details of a customer’s insanely-powered twin-turbocharged Audi R8 GT. Already developing 412 kW (560 hp) from its 5.2-litre V10 engine, Underground Racing applied its Stage 2 Race package, which comprises a pair of custom turbocharger units mounted on the company’s new billet air intake, and RR Plug & Play Motec ECU system with custom E-gear wiring harness. The end result is a stonking 1,150 whp on 93 octane pump petrol and over 1,800 whp on race fuel. Sensibly, the transmission was upgraded accordingly, with a helix billet differential, a full billet 1-6 custom ratio, billet input/output shafts and billet final drive gears. We’ve been promised a video of the car in action very soon. 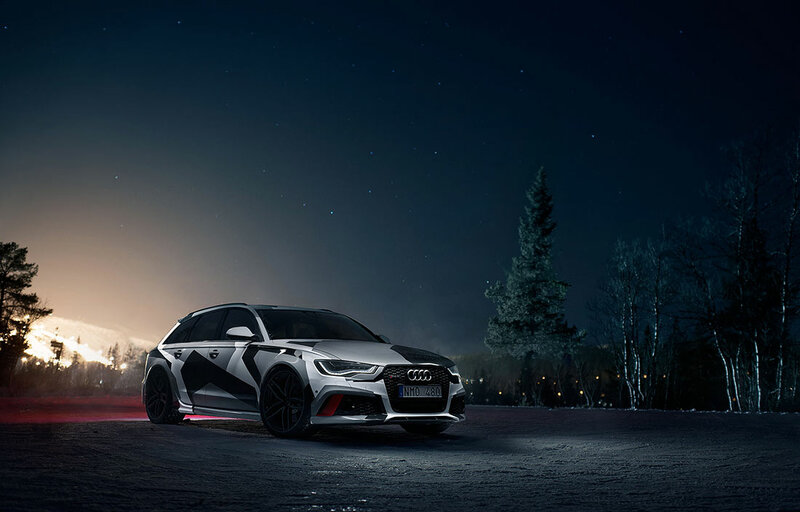 Following on from his PPI Design R8 Razor GTR and Lamborghini Gallardo, professional freeskier and alpine ski racer Jon Olsson has revealed his latest snowplow – a brand new Audi RS 6 Avant. Before even picking the car up, Jon enlisted the help of renowned snapper Oskar Bakke to carry out an impromptu photoshoot in Sweden – with a little virtual tweaking thrown in for good measure. The car is currently residing at Stertman Motorsport, where it is set to receive a H&R Suspension package, Milltek exhaust system and serious performance upgrade. “We all know I like power and I am sure that when it leaves Stertman it will be a beast! Well it already is to be honest! I have never jumped into a stock car and have it blow my mind, this truly is the most impressive car I have ever driven,” said the 31-year-old. 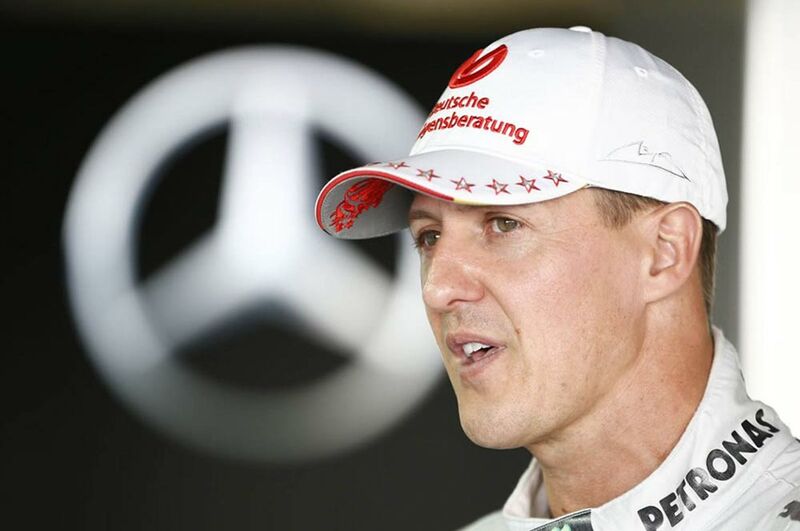 Michael Schumacher is fighting for his life following a skiing accident in the French Alps at the weekend. The 44-year-old seven-time Formula One World Champion struck his head on a rock while skiing off-piste in the resort of Meribel with his 14-year-old son and some friends. He was airlifted off the mountain within minutes of the accident and found to be suffering serious brain trauma with coma on his arrival at the hospital in Grenoble. 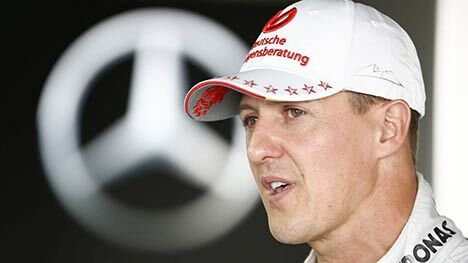 Our thoughts are with Schumi and his family at this time.